Why is the price of an unpainted Chichi® (during the work-shop) the same as a painted Chichi® from the shop? The workshop will take 2 hours, including the story of the emergence of Serena’s Art Factory; an explanation of painting techniques; use of the workshop facilitations, paint and brushes; painting in beautiful setting. At the end of the workshop all painted Chichi’s® will get a the finishing touch by Serena’s Art Factory which includes, a quality control, felt placed under the Chichi®, a label attached, a Trademark sign® and Serena’s signature (In case Serena is not available the manager in charge will sign the Chichi®). The sculptures will be wrapped in a nice box for a happy and save transportation. Why do we not sell & ship Chichi® sculptures to other countries? It is very expensive to send a Chichi® sculpture to another country. The package has to be insured and import taxes will be added, which will probably triple the price of the Chichi® you ordered. In what sizes are the Chichi® sculptures available? Which items are available in the shop at Serena’s Art Factory? 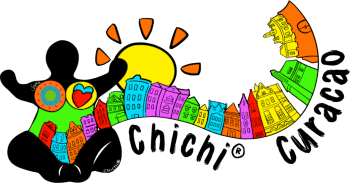 Chichi® sculptures (in different sizes and poses), key chains, wine stoppers, magnets, door hangers, mermaids, bon bini boards, angels, mermaids. Boeboes (male version of the Chichi®); Goats (different sizes and poses); Geckos; Pirates; Donkey; Starfish; Fishes; Dresses; Hairbands; Stickers; Cards. Where can we find Serena's Art Factory and adjoining Art & Souvenir shop? What are the opening hours of Serena's Art Factory & Souvenir shop? Open Mondays – Saturdays from 9:00 to 17:00; Sundays and on public holidays closed. What are the opening hours of the Serena's shop in Punda? Dus vanaf 10 uur geopend ipv 9 uur!! What is the difference between a walk-in Workshop and a regular Workshop? How often is there a walk-in Workshop? Every Friday morning from 9:30am-12pm at Serena’s Art Factory. Every Thursday Evening from 5:30 PM – 8:30 PM at the Chichi® Shop in Punda. Where on Curacao can I buy Chichi's? Serena’s Art Factory, Jan Luis 87a; Serena’s Art & Souvenir shop in Punda at the Gomez Plein; Out of the Blue Jewelry & Gifts at Jan Thiel and Mambo Beach; Donkey Sanctuary, Bonaire. See ‘Contact‘ for the map. Out of the Blue Jewelry & Gifts at Jan Thiel and Mambo Beach kunnen eruit gehaald worden. Do you sell Chichi's as well outside Curacao? Yes, only on Bonaire; but no other countries! 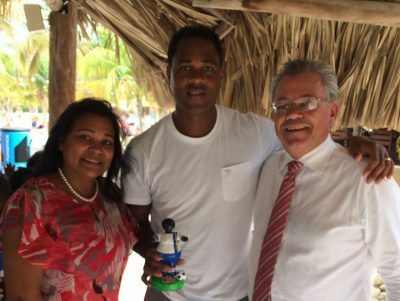 MCB Bank awarded Patrick Kluivert with a custom made Soccer Bubu.